I’m happy to report that all 125 of our employees are accounted for. We continue to make contact with the majority of our 1200 active cloud workers and are hopeful to account for all of them while collecting immediate needs for them and their families in the next couple days. While there are challenging times ahead, the CloudFactory family will be here to help as they rebuild. 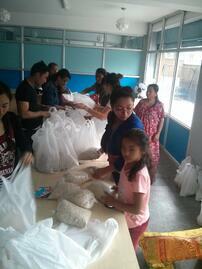 Those on our team who are able to help have been putting together relief kits for families impacted by the earthquake. I’m so proud of the team here. We’re in the business of creating digital production lines that process data in the cloud, but when I arrived at our office I saw a different kind of production line. They had created a process that packed 60 relief bags this morning and delivered 28, with the remaining scheduled to go out later in the day. 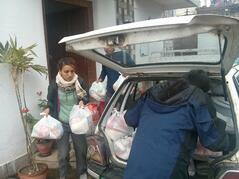 Each bag is for about 5 people (food, medicine, etc). The groundfloor of our office building has been converted into a command center with whiteboards everywhere and a team of committed CloudFactory team members are working hard to help those most in need. From an operational standpoint our full-time staff in Nepal has started the process of transitioning back to work as daily life slowly begins to normalize. On Wednesday, we’ll be focusing on additional outreach to our cloud worker community. Assuming a cloud worker and his/her family is safe, we’ll gauge their ability to work on tasks and offer them a refuge to come and work for as long as they’re able. Getting our cloud workers back to work quickly will allow us to put much needed money back into the economy. We believe we’ll be one of the first businesses with a wide reach in the region with that capability. In the days ahead we look forward to providing some normalcy to life by enabling our team members to work again. 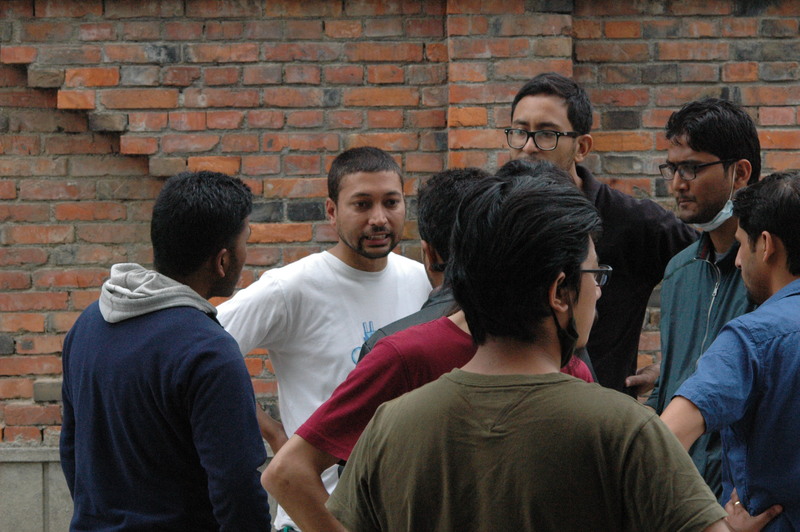 In the weeks and months ahead there is an even bigger need to put the talented people of Nepal to work at CloudFactory. Though many challenges lie ahead we’re ready to be part of the long term recovery and to help make this nation even stronger than before. If you’d like to help our team members with short term relief, we’ve started a grassroots funding campaign through GoFundMe. Thanks again for your prayers and support.